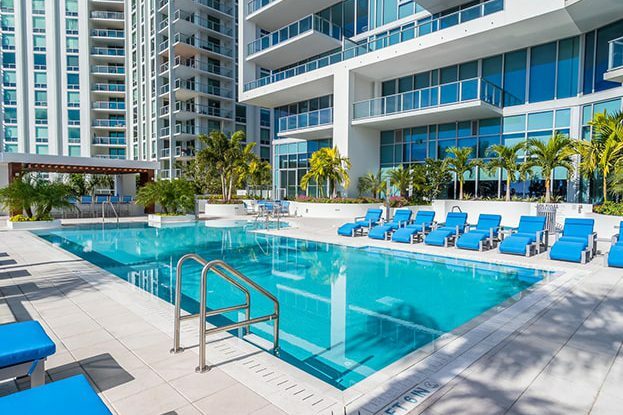 VUE Sarasota Bay is located at the gateway to Lido Key in Downtown Sarasota. This iconic 18-story condominium tower’s striking architectural design was developed in concert with the adjacent 18-story Westin Sarasota. 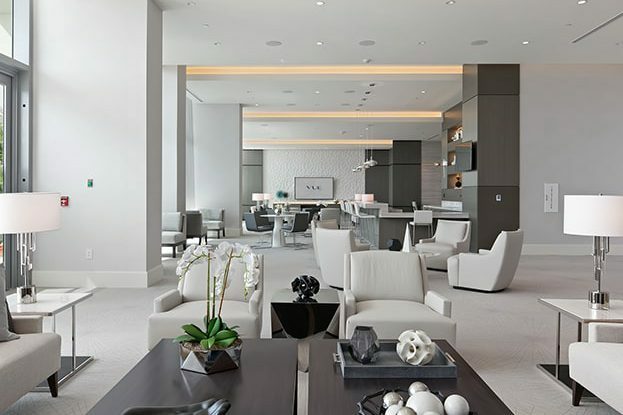 All 141 residences overlook the Sarasota waterfront and marina, providing panoramic sunset views. 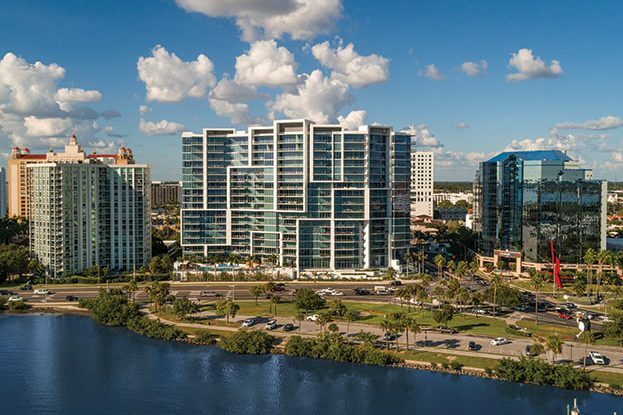 VUE Sarasota Bay takes full advantage of the cultural lifestyle of the city, widely recognized as a mecca for the arts.